Kids and families all over central and western Oklahoma rely on the Regional Food Bank for healthy meals, and we rely on you! 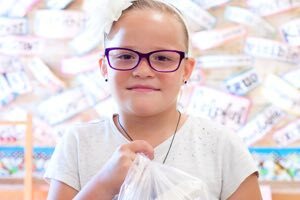 The Food for Kids Match Campaign will match your gift dollar for dollar up to $150,000, so every $1 you give provides 8 meals for hungry kids. Your gift goes twice as far, so please give generously!